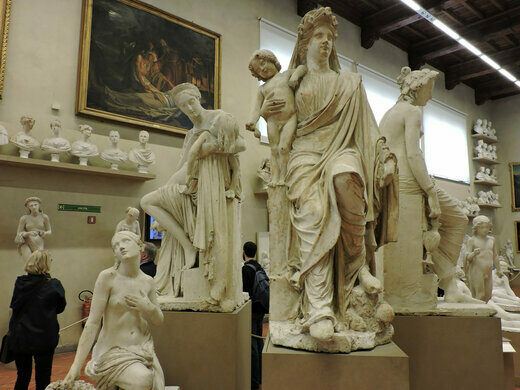 Florence’s Accademia Gallery (Galleria dell’Accademia di Firenze) attracts throngs of visitors eager to get a look at one of the world’s great artistic masterpieces, Michelangelo’s David. 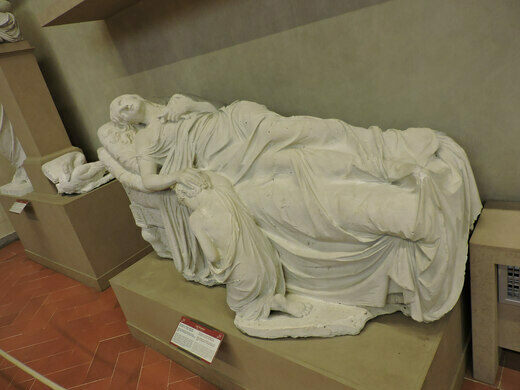 But that famous statue tends to overshadow the other gems within the museum, such as this unusual gallery filled with hundreds of plaster cast sculpture models. 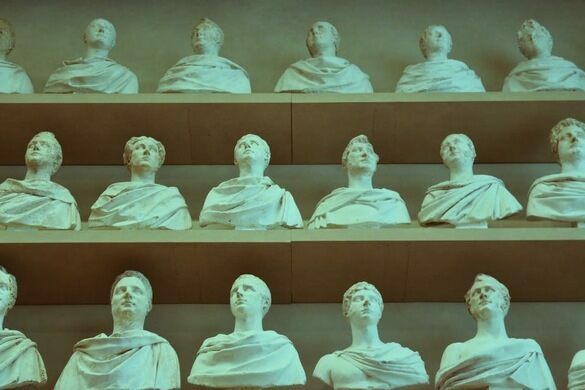 The Gipsoteca Bartolini (Hall of Models) is a unique space where the museum’s origins as a teaching gallery are on display. 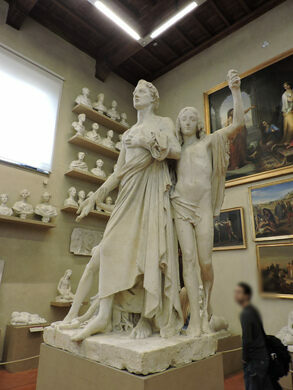 The Accademia Gallery was first created for students of the art academy nextdoor to study the works of great artists. 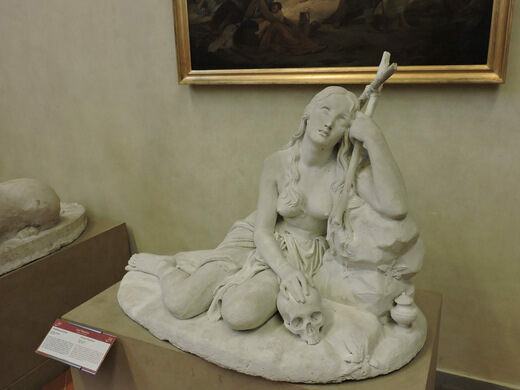 One of these greats was the 19th-century sculptor and academy professor Lorenzo Bartolini. 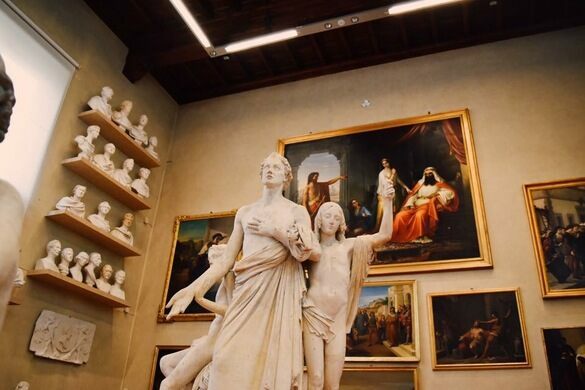 The Gipsoteca, a loose recreation of his studio, holds a collection of more than 250 plaster models of Bartolini’s sculptures, as well as those of his protégé, Pampaloni. 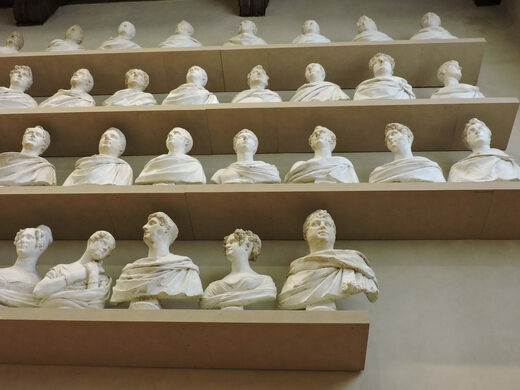 Busts line the shelves of the plaster gallery, which displays models of prominent Italian figures such as Machiavelli and Brunelleschi, and casts of some of Bartolini’s most famous works. 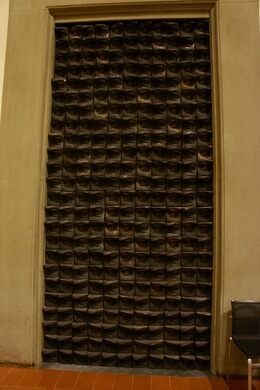 The plasters were made of clay, treated with patina. 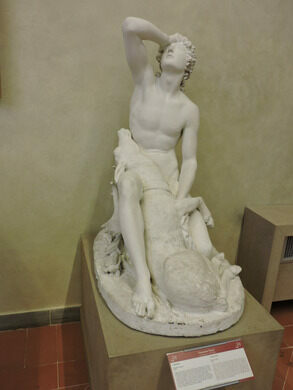 Many appear speckled with dark spots where nails were used as reference points for transferring the cast to the marble block. 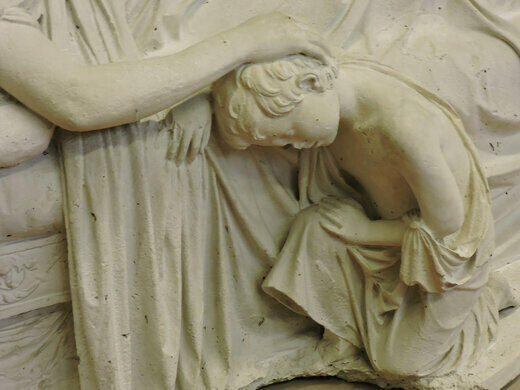 Sometimes the plaster cast is accompanied by a photo of the finished piece, giving a fascinating, if slightly creepy, glimpse into the careful craft of building models for the era’s elegant marble sculptures.